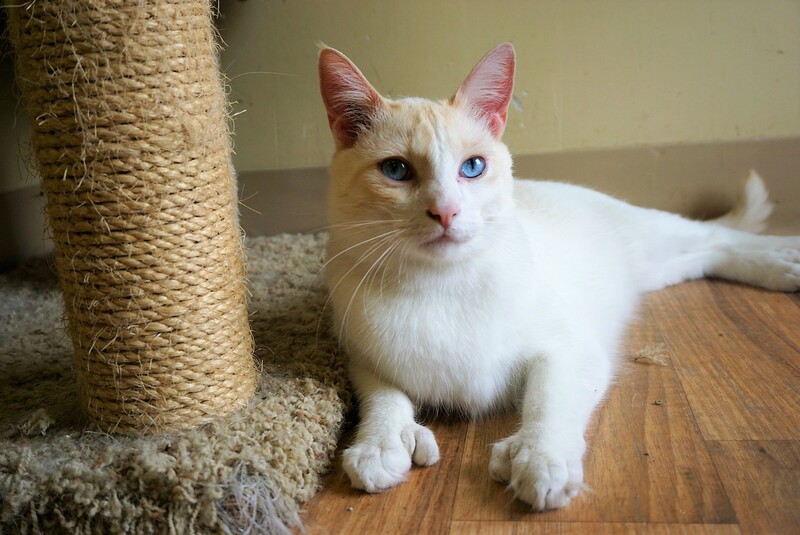 Meet Bruce, a very handsome polydactyl flame point! You can see by his huge paws that this guy has a few extra toes, and some extra personality to match! Bruce is a confident boy and tends to have alpha-type characteristics. While Bruce gets along with most other cats, he would probably do best in a home as a single pet. Unfortunately, Bruce cannot go to a home with dogs or young children (no exceptions). If you would like to meet Bruce, you can visit him at our store location at 38 Barberry Road.